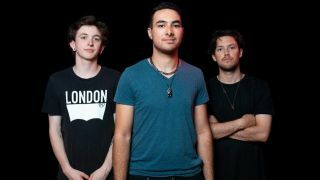 Rising young dual bass Australian prog rockers The Omnific have released a new single, The Stoic. You can listen to it below. "The Stoic varies in themes through-out the whole piece, starting with ambient, dark and heavy bass and drums, then building up to fast paced heavy riffs and back to ambient chordal sections," explains one of the bands two bassist Matthew Frackrell. "The song was initially a short video uploaded to Facebook of Matt & Toby playing the intro on one bass guitar which gained positive attention, inspiring the track to be completed."